Install culverts and upgrade to 5.4 meter wide all-weather stone roads a further 5.6 km of currently unimproved local roads in the Nyankoba Ward that are impassible in wet weather. We are working with Nyamira County to broaden the main roads in the Ward to 12 meters wide. A 200-meter deep borehole has been drilled by Nyamira County and we have sent the money needed to build a 100 cubic meter tank and to develop a water supply system for the Nyanchanori village and the surrounding area. We plan to fund the improvement of three school soccer fields in the Nyankoba Ward, and also develop one of them with a track and field facility. 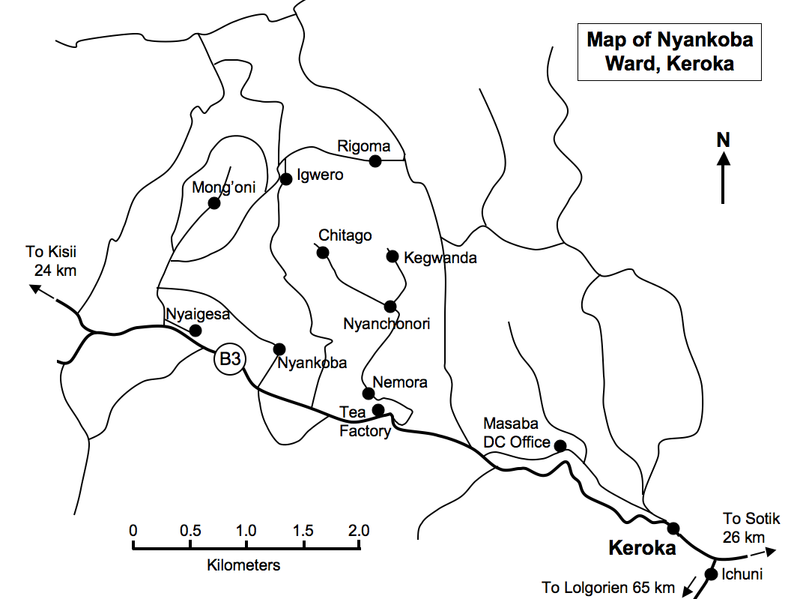 We continue to support further development of the Nyanchonori and Mong’oni Healthcare centers. We provide materials to improve student access to a broad array of knowledge and to assist poorer students attend school, and are raising funds to enhance the school facilities in all schools in Nyankoba Ward. Purchase a shipping container and locate it in Hopewell Valley to collect donations of bulky goods for shipping to Keroka, after which the containers will become permanent secure storage in Keroka.